A new study from the Frank Porter Graham Child Development Institute (FPG) at the University of North Carolina at Chapel Hill shows that NC pre-kindergarten has produced learning gains for children that can last well into elementary school. NC Pre-K, established 15 years ago, is a statewide program for eligible 4-year-olds that was designed to increase school readiness and prepare children for kindergarten. 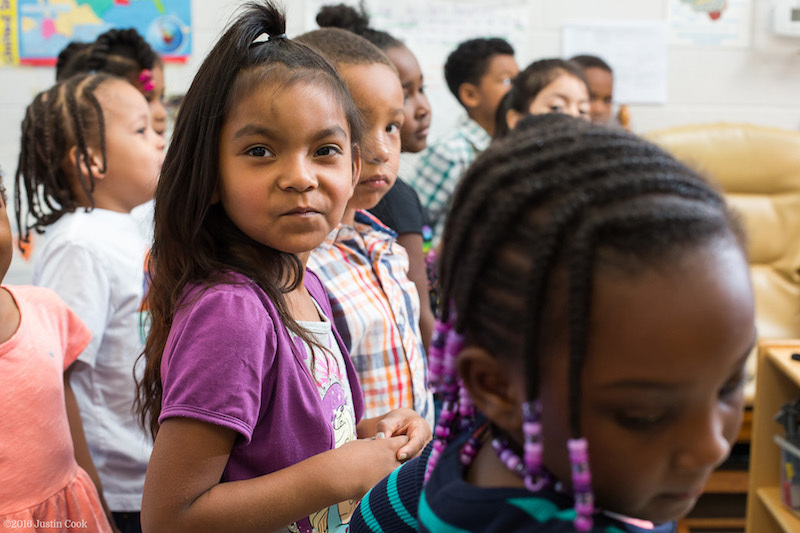 The new report from FPG reviewed years of data and annual evaluations of NC Pre-K and compared children who did not attend NC Pre-K to those who did. At the end of kindergarten, the children who participated in NC Pre-K had better math skills and executive functioning skills, which help students regulate themselves and perform better in school. Low-income children in the program also went on to score better on language and math end-of-grade tests in third grade, compared to poor children who weren’t in the program. The researchers emphasize that the key to the program’s success is the generally high quality of instruction in North Carolina’s program. Teacher qualifications have improved over time and in the most recent review, 99% of lead teachers in the program had at least a college degree. Across the state, nearly all teachers in public pre-k and three-quarters of teachers in private pre-k classrooms have a special license in birth-through-kindergarten training. State officials said the report shows the state is on the right track for preparing children for success in school. This good review comes as the NC state legislature has voted to increase the number of seats in the program. NC Pre-K enrolled 27,019 children this year, with nearly 5,000 on the waiting list. Since its inception, the program has served 350,000 children. The full evaluation report from FPG can be found here. In Durham County, the Partnership administers the program and serves 490 children in classrooms in Durham Public Schools, Durham Head Start, and private child care centers. Technical assistance and support from the Partnership guarantees quality and compliance with all regulation. The Partnership also leads a universal application process with six collaborative agencies to serve and assist families throughout the community in applying for available seats. For more information, please click here.